These Living Walls is a vertical landscaping beauty that can be used for both indoor and outdoor features. 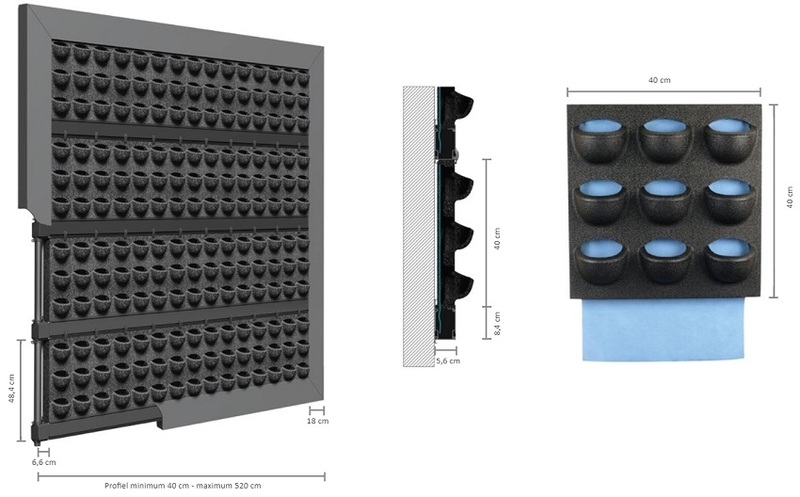 This unique system has become very popular in commercial environment such as offices, shops and public areas. 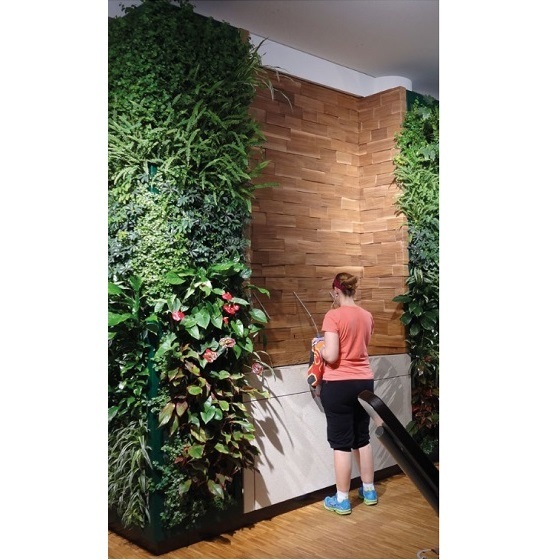 The Living Wall has also now attract residential customers as well. The Living Wall is a great feature to take the outdoor inside bring the wall to life. The Wall transforms the area into an attractive area. The frame modular for this Living Wall consists of cups in which the plants are inserted. The plant absorb water from the duct through the capillary system. 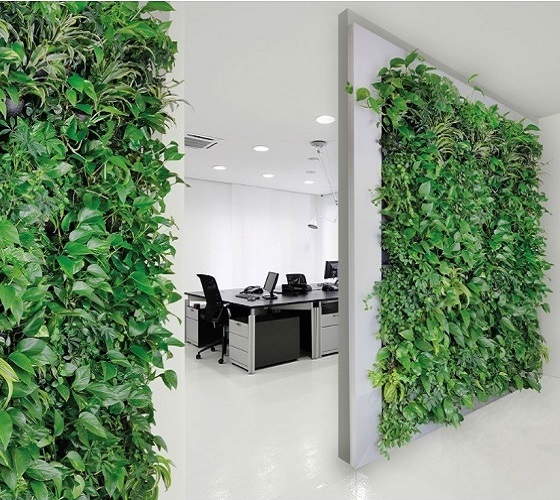 The Living Wall can be installed to new and existing walls. 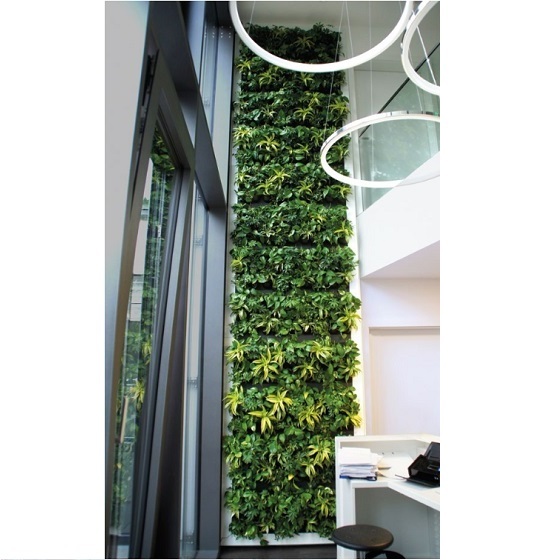 The Living Wall is an item specifically tailored to suit the area of the space desired. This item is to be purchased by the client and can be serviced by indoor gardens on a weekly basis if required. Size of the panel will determine whether we can service it. The standard frame is in Anodised Aluminum, but contact us to see if other colours are possible on special order. ALL PLANTS ARE SOLD SEPARATELY- Installation & lighting if required, to be arranged by client or Indoor Garden's sub contractor were additional fees will incur. 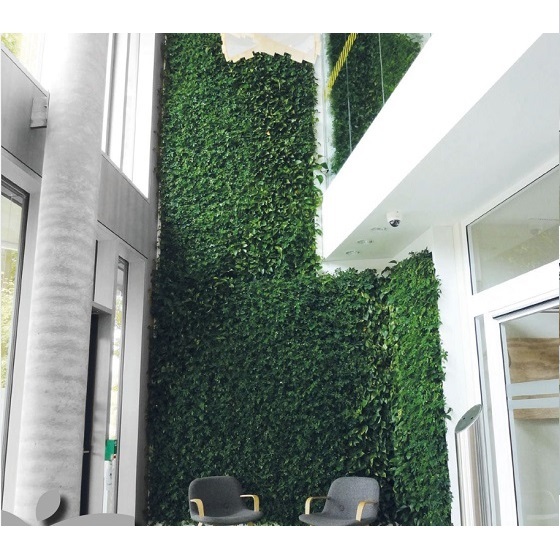 * The Living Wall is an item specifically tailored to suit the area of the space desired. This item is to be purchased by the client and can be serviced by indoor gardens on a weekly basis if required. Size of the panel will determine whether we can service it.